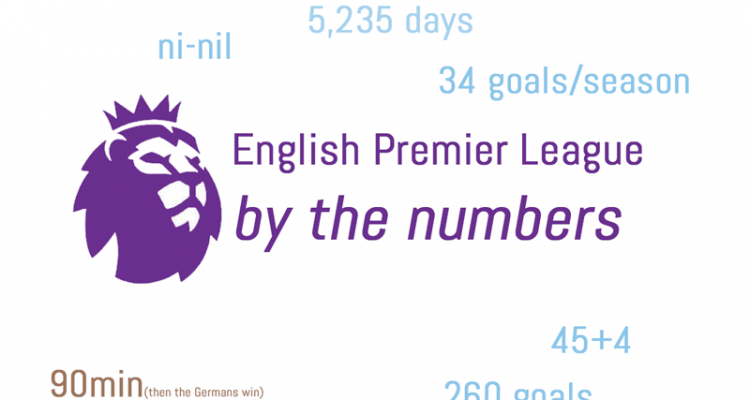 EPL by the Numbers 2018-19 #25. Click for more. Man City rose back to the apex of the league Saturday with a 2-0 victory over hapless Fulham. Huddersfield then lost 2-0 at Crystal Palace to become the first team to be relegated this season. Two other teams threatened with relegation won – Southampton 1-0 at a Brighton side who themselves are now in jeopardy and Burnley 2-0 over a previously hot Wolves. Meanwhile, United moved back into fourth, for two days, with a 2-1 win over Watford and Leicester continued their recent hot streak with a 2-0 win over Bournemouth. In the Saturday capper, Everton beat West Ham 2-0 to make it two in a row. On Sunday, Liverpool won on a last-gasp own goal to take all three points at Anfield against Tottenham and jump City back into first, at least for two days. Earlier, Chelsea had to comeback from a goal down to beat Cardiff 2-1 and move into the top 4, until Monday, when Arsenal beat Newcastle 2-0 and move above Spurs and into third. This has become the tightest race for the Top 4 in EPL history, with only three points separating Arsenal in third from Chelsea in sixth. Around Europe, Dortmund have a two point lead over Bayern after they won 2-0 over Wolfsburg while Bayern settled for a 1-1 draw at SC Freiburg; Barcelona maintained their nine-point lead over Atlético and 12 over Real; Juve are still 15 points up in Serie A with 9 to play and PSG is up 20 points with a game in hand in Ligue Un. The Champions League and Europa League return next week, and one should keep a close eye in Germany as the title race looks set to go down to the wire. March Madness moved closer to its conclusion with the Sweet Sixteen and Elite games from Thursday until Sunday. Only one number 1 made it out of their bracket – the University of Virginia, who you might remember as the only #1 seed ever to lose to a #16 a year ago. They won a tight game over Purdue 80-75 after a miracle last second equalizer over a purposeful missed second free throw. Duke was unable to do the same, losing a tight game to Michigan State 68-67. The Big 10 and ACC representatives will be joined in the Final Four by two newcomers – Texas Tech, who upset #1 seed Gonzaga 75-69, and Auburn, who confirmed that the third time is a charm is sometimes true, beating Kentucky 77-71 after losing their first two meetings of the season. 0-0-9 – Cardiff City’s record against the big six this season. With three of their last seven against those clubs, their chances of staying up seem less likely, particularly after blowing a 1-0 home lead against Chelsea conceding two goals from the 84th minute on, though the first shouldn’t have counted. This is how absurdly offsides Azpilicueta was before he scored the equalizer that probably means Cardiff is going back to the Championship. As seems to be the case almost every weekend, VAR cannot come quickly enough to the Premier League. 0-1-4 – Spurs have gone from an outsider candidate for the title to a side sliding out of the Top 4. They are winless in their last 5 and will need to right the ship quickly, or they could be out of the Champions League next season. And that would, of course, be really sad for us Gooners, who are now in third (if I forgot to mention it earlier) after their 2-0 victory over Newcastle Monday. 1 in 11 – Mo Salah didn’t end his goal scoring slump Sunday, but it was his header, right on the cusp of 90 minutes that led to another Lloris error and a 2-1 win for Liverpool that keeps their title aspirations alive. Spurs has equalized after an early Firmino goal gave the home side the lead. The Reds returned to the top by two points, though City have a game in hand they’ll play Tuesday against Wolves. Lloris looks back helplessly as Toby Alderweireld diverts his terrible parry back into the net. Mo Salah wasn’t given credit for the goal, which makes it eight without a goal (and only one assist), but he will care little as Liverpool rose back to the summit of the table. 4 – Tiger Woods had a four-foot putt to force extra time in his match with Lucas Bjerregaard Saturday, with a berth in the final four on the line. And unlike the Tiger of old, he missed. Ironically, this came after a morning collapse by Rory McIlroy that allowed Woods to move on to the final eight of the Dell Technology Match Play Championship, which Woods has won three times in the past. Tiger Woods slumps after a rare choke on the 18th hole, two weeks before the Masters begins. 6 – Huddersfield tied the record for the earliest relegation in EPL history, falling down with six matches to go after their 2-0 loss to Crystal Palace Saturday. 6/8/13 – LeBron James will sit out the final six games of the season after the Lakers went on a run in the wake of their elimination from the playoffs. It is a franchise record sixth time in a row they will miss the postseason, end an eight-year run of final appearances for LeBron and a 13-year run of playoff appearances. LeBron, however, shouldn’t be blamed too much, as the fifth highest scorer in the league this season (27.8) and third best assist maker (8.3), along with 8.5 rebounds. 8 – Alex Ovechkin scores two goals Saturday to reach his eighth 50-goal season with the Capitals, in the wake of his first Stanley Cup. His side currently hold the top spot in the Metropolitan division and third in the Eastern Conference. Ovi is only the third player in league history to reach that mark and is now only one season behind tying Mike Bossy and, of course, Wayne Gretzky on 9. Ovechkin is up to 13th on the all-time goals scored list with 658, only 236 behind Gretzky. Can he catch him? If he plays another six or seven years, it seems increasingly likely. 8-5-0 – It looked like Liverpool were going to draw their sixth match in the last 13 when the aforementioned goal went in. It is still 10 lost points in those 13 matches, but City might now have to be perfect to win the title, still facing Spurs and United, while the Reds have only Chelsea at Anfield left on their schedule amongst Big Six opponents. 10 – Molinari won his two matches Saturday in the WGC-Dell Technology Match Play Championship to make it 10 match play matches in a row, going back to the Ryder Cup, with none of those heads up matches going to the 18th. Sunday, the streak ended in the semifinals, as he lost 1 up to Kevin Kissner won the tournament 3 & 2 over Matt Kucher after losing in the final last season and Molinari came back to win third place that same afternoon. 12 – Duke were up with a minute to play, but ultimately lost, as their best player, Zion Williamson, couldn’t hit the two free throws that might well have led them to OT. It meant Mike Krzyzewski is still even with John Wooden on 12 Final Four appearances … at least for one more year. 12 – In the women’s NCAA Basketball Tournament, the University of Connecticut did their job, even with the #2 seed and advanced to the Final Four for a 12th straight year, an incredible record if you consider the level of consistency that takes. They remain the most successful program in history, with 11 National Titles, including four straight between 2013 and 2016. 12 of 15 – Chelsea have won that many of the matches where Hazard has not started since the beginning of last season, after their 2-1 victory over a Cardiff side that was heartbroken by two late goals, from Azpilicueta in the 84th and Loftus-Cheek in the 91st. 16-3 – Goals against versus for Chelsea away in 2019. Luckily, the last two came in the aforementioned victory over Cardiff Saturday. Loftus Cheek breaks Cardiff’s hearts with last gasp headed winner. 28 – Three pointers by Carson Edwards of Purdue in the tourney – a record, even as they were eliminated in the elite eight in heartbreaking fashion. In that game, he scored 42 of his team’s 75 points with 10 3s, but finished the game with a missed three and a turnover. 80 to 1 – The oddsmakers assessment of Cardiff’s chance of winning at the Etihad Tuesday. It is the worst odds on offer ever for a Premier League game beating the 40 to 1 for Huddersfield visiting City last season. 101 – Roger Federer added his 101st singles title to his historic career and is now only 8 from tying what seemed the impossible to beat total of 109 by Jimmy Connors. If we combine singles and doubles then none other than John McEnroe holds the lead with 156 (77 singles, 78 doubles and 1 mixed doubles), though his 7 slams is 13 behind Roger’s record 20. Ageless Federer continues to rewrite the record books. Could slam number 21 be in the cards for the player with the best record so far this season – and the first to win two tournaments on either the men’s or women’s side in an odd start to 2019. 1984 – The last time Virginia found themselves in the Final Four. It took a buzzer beating equalizer at the end of regulation and a nail-biting OT victory to get there. They are joined by Texas Tech and Auburn, making their first trips ever, and Michigan State, who beat the #1 overall seed and much hated Duke Blue Devils. 1992 – R.J. Barrett became the first Duke player to register a double-double in a NCAA Basketball Tournament game since Bobby Hurley way back in 1992, with his 18 points and 11 assists in a tight 75-73 win over Virginia Tech in the Sweet 16 round. Then two more did it in their upset loss in the Elite 8, with Zion Williamson scoring 24 points and adding 14 rebounds and Javier DeLaurier registering 10 points and 11 rebounds in a one-point loss to Michigan State. Cassius Winston scored 20 and added 10 assists as Michigan State moved onto the Final Four at Duke’s expense. 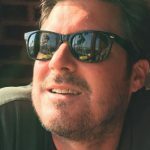 No Comments on "EPL by the Numbers 2018-19: Match Week 32, Liverpool win late, Arsenal to third"